In Contact Training 1 we study how we receive and send force, how to stand when doing so, and the sensitivity necessary for dealing with an opponent. Now we take this to the next stage in an “live” sparring environment. This environment fosters the skills and sensitivity being developed in the Contact Training 1 portion. You learn to use your body in a sparring environment while adhering to the physical principles you have progressed in your daily bujutsu training. Sanda is different from bujutsu. Sanda, kickboxing, and the like are sports. However, this does not mean that this is not useful for developing ourselves. 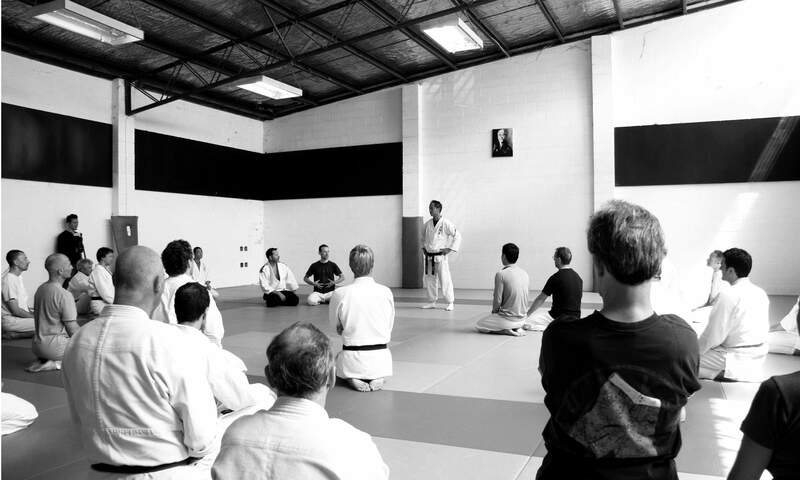 Through the Sanda environment we learn to isolate bad habits and parts in our bodies that use excess tension, feeding the lessons learned from these sessions into the normal bujutsu conditioning, helping us dig deeper into our own bujutsu training. As you progress, you will learn to shave off even more excess inherent in your body in order to produce true “Jutsu” within the body. This is a step towards understanding what true martial movement is about.